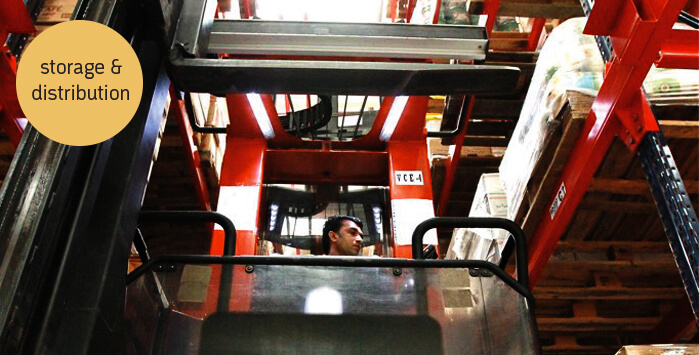 The extensive warehousing and distribution facilities provided by Mohebi Logistics are built and managed to the highest international logistics standards. Our facilities in the Jafza Free Zone provide highly secure storage and distribution services within four specific temperature regimes: ambient, air-controlled (below 25C), chilled (below 8C) and frozen (-25C). Your products are perfectly stored in a highly controlled environment where any deviation triggers automatic alerts. The warehouse complex has the capacity to handle a large number of product lines from a multi-customer base, using very narrow aisle racking, mobile racking, palletized, shelved and bulk storage solutions. Mohebi Logistics’ large fleet of multi-temperature vehicles (light vans to heavy tractor-trailer combinations) is considered to be one of the most cost-effective in the Gulf region. It handles all types of cargo from time-sensitive retail products through to regional fulfillment for international brands. Our experience in managing composite deliveries ensures efficient and economic operations. At all times, vehicles and drivers are monitored with GPS tracking technology.